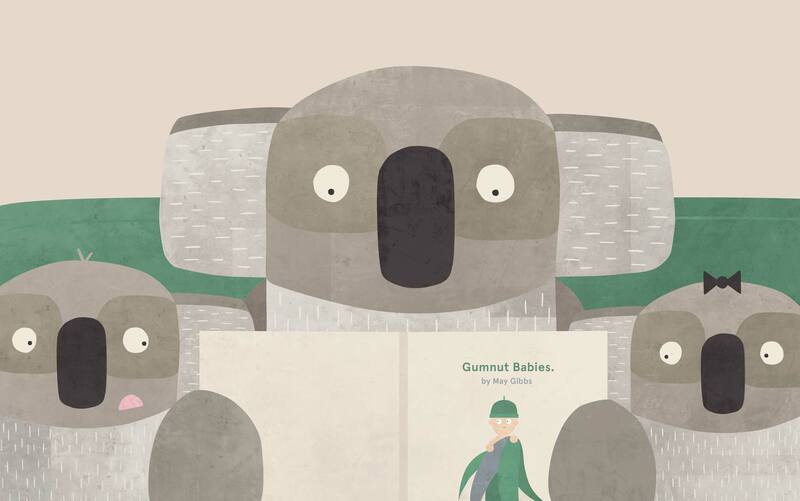 How to read to children | Philip Bunting | Author-Illustrator of Mopoke. Young children love reading books primarily because they get to spend focussed time with their parent¹. It’s not the story, or the pictures, it’s your attention that they ultimately want. While good picture books make reading more enjoyable, the emotional quality of the interaction is what’s most important. The more interactive, playful and entertaining the book reading becomes, the more rewarding the experience for both parent and child. The more rewarding and entertaining the experience, the more likely it is to be repeated. The experts call this interactive style ‘dialogic reading’²; which can be loosely defined as the act of consciously reading with, and not passively reading to your child. Dialogic reading allows you and your child to jump into the flow of focussed interaction. Even if they’re choosing the same books every night, your child is more likely to engage in books that they have chosen themselves. Let them choose the playlist. You can still play curator (or less fashionably… librarian), but let the child hand-pick which books they’d like to read. Find a cosy spot and minimise the potential for distraction or interruption. Cuddle up, get a brew (that’s northern English for a cup of tea) and a Milo (for anyone outside of Australia, get onto this). Turn off the TV, lose the laptop, flick your phone into the fruitbowl. Put your feet up and make the moment your own. Integrate cinematic techniques into your reading – borrow from the movies in your book-reading style. Think Tarantino, Apatow, Luhrmann, Welles, Hitchcock… Use sound effects. Play with pauses. Zoom in and out. Be noisy. Be quiet. Use accents and speech patterns. Accentuate rhyme and rhythm. Go nuts. Have fun. Once you’ve closed the book, talk about it! Analyse, revisit, relate and extend those off-piste discussions. Depending on the child’s age, find and chat about different aspects of the story or pictures that may have gone unnoticed. Make jokes about the book. Relate the message of the book to the child’s world. Some of the most hilarious and eye-opening discussions you will ever have can come out a good critique! Picture books create a platform for two-way discussion, laughter, expression, silliness, learning and fun. Built into the framework of a child’s day and life, books can soon become the strongest connective tissue of your relationship.